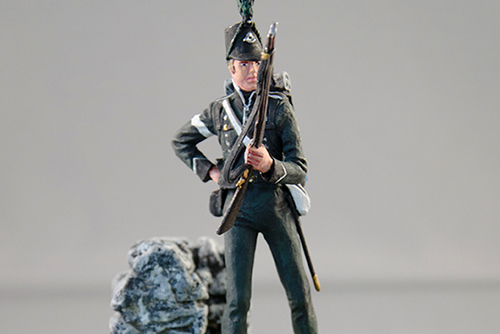 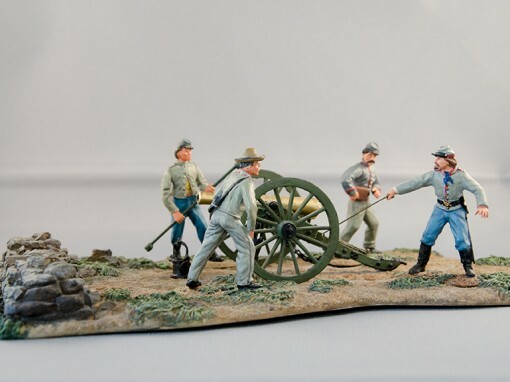 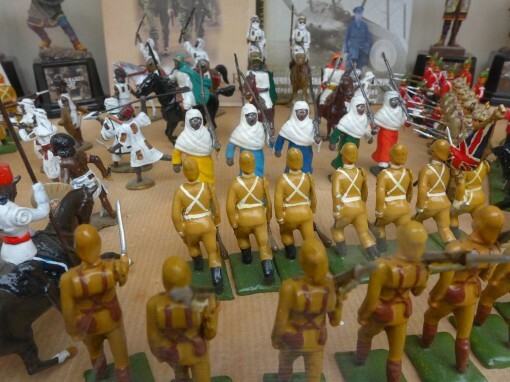 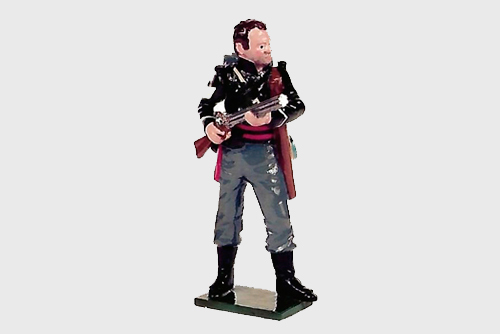 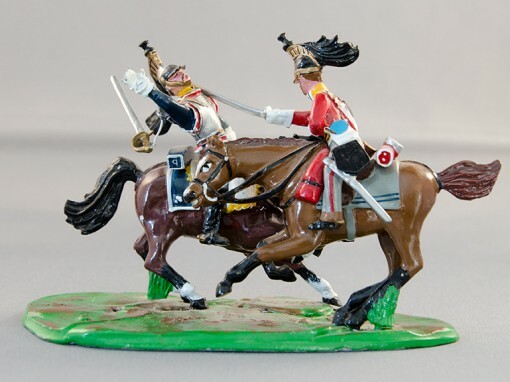 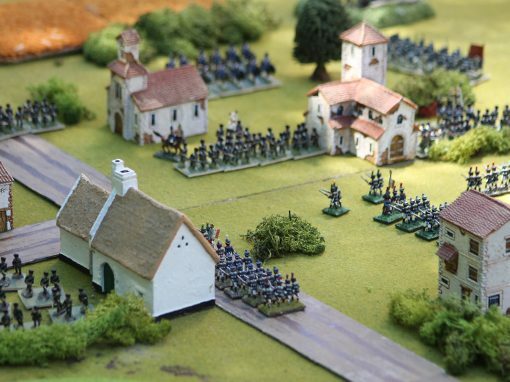 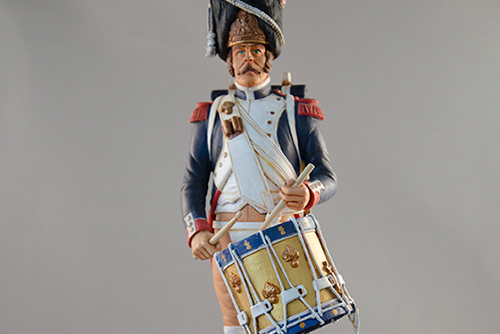 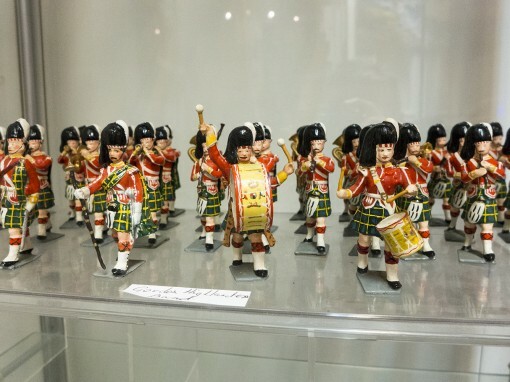 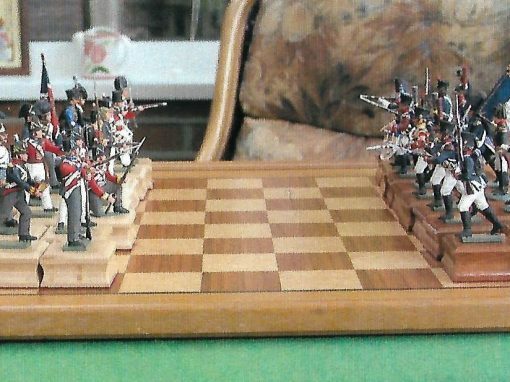 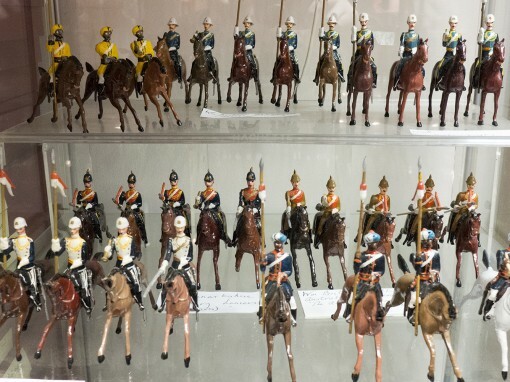 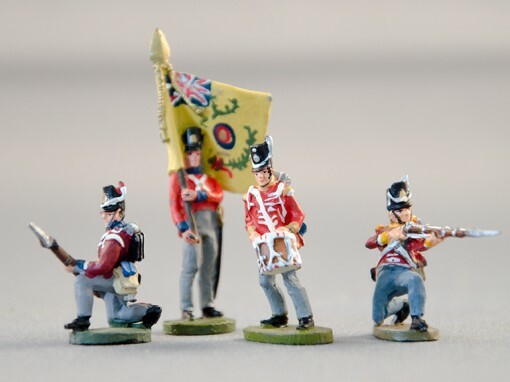 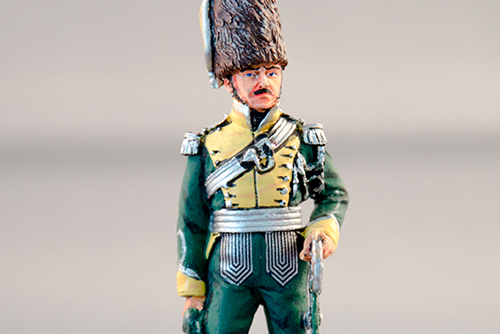 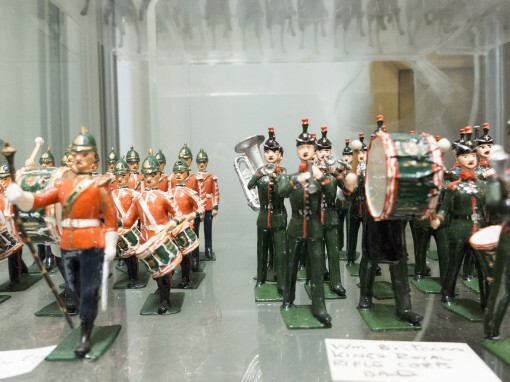 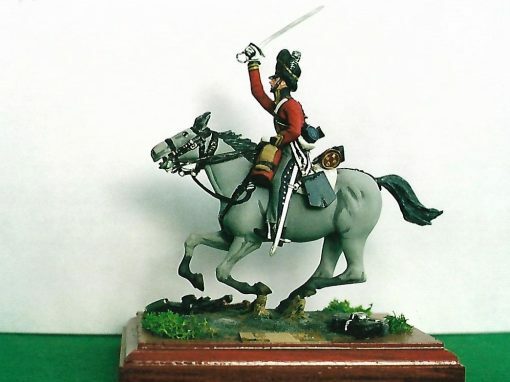 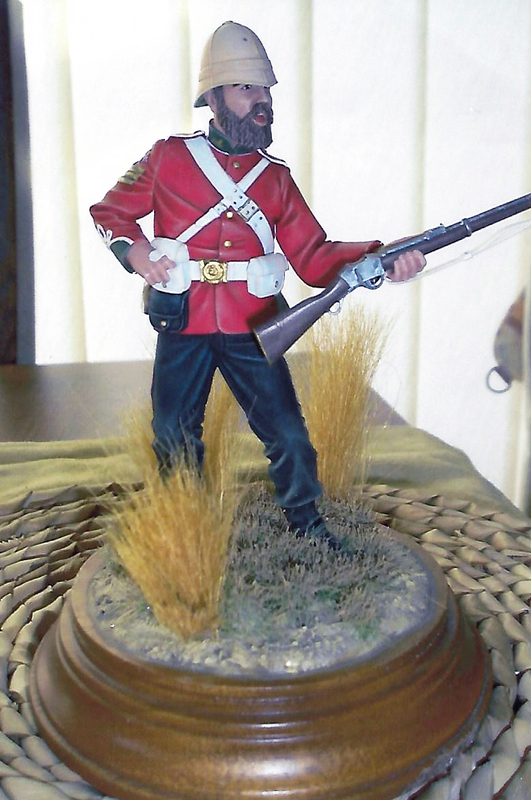 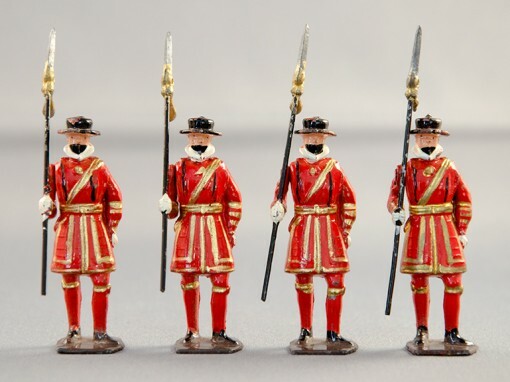 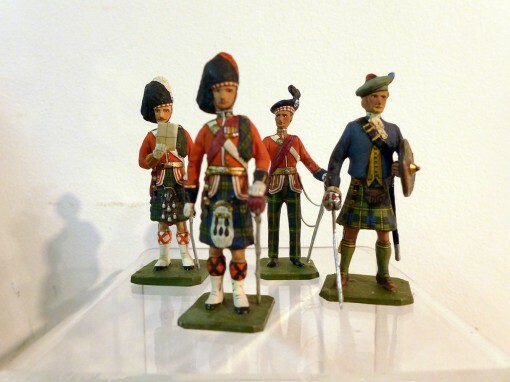 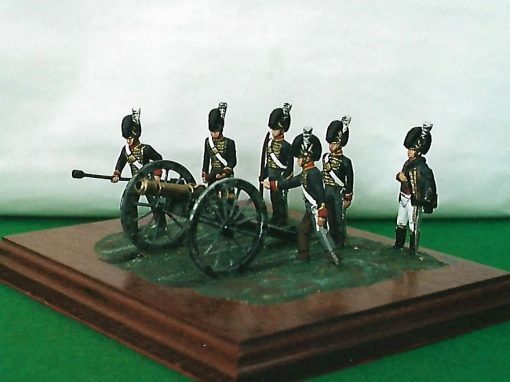 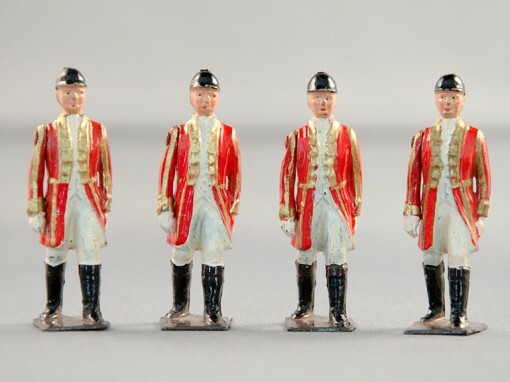 This is a model, in 120mm, of a Colour Sergeant in the 24th Foot at the time of the Zulu wars. 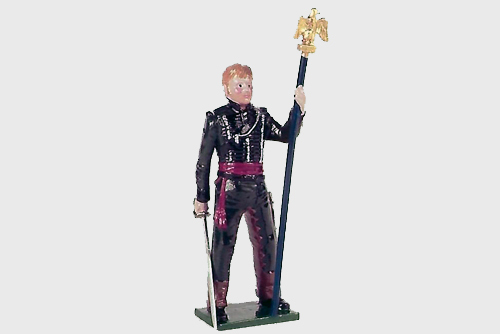 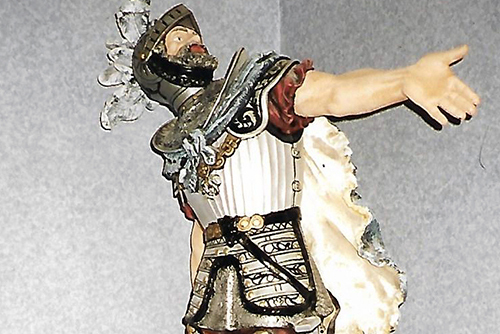 Colour Sergeant Bourne was perhaps the most famous holder of that rank in the history of the British army, and this figure is a good representation of that great warrior. 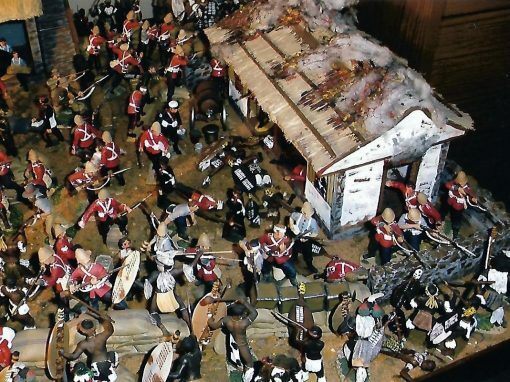 The film ‘Zulu’ portrayed Bourne in the manner he would be expected to be, aged around forty. 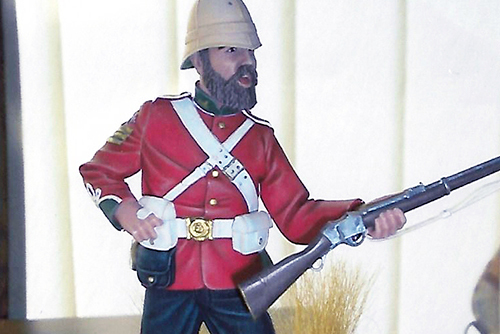 However, in reality Bourne became the youngest Colour Sergeant in the British army when promoted and was just twenty four years old when he fought at the Defence of Rorkes Drift in 1879. 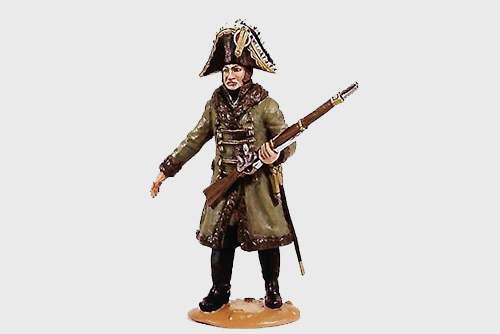 Awarded the DCM for his conduct that day, he was later given a commission and ended an amazingly distinguished career as a Lt Colonel. 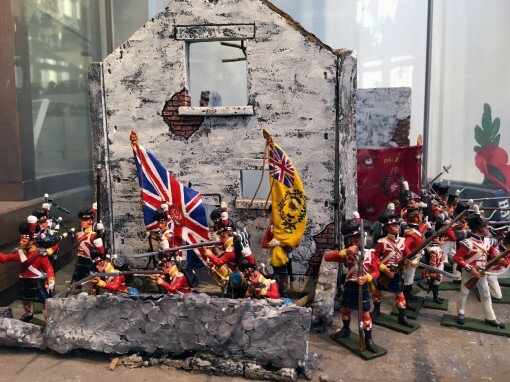 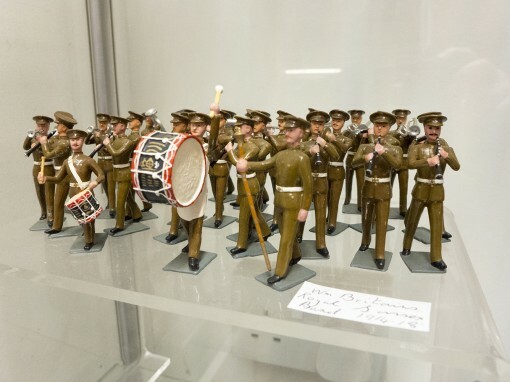 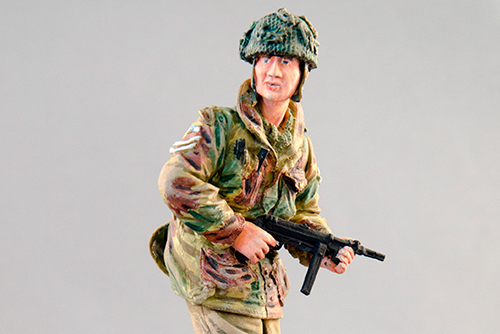 His is quite a story and this model is a fine way to illustrate the confidence and bravery of an astonishing soldier. 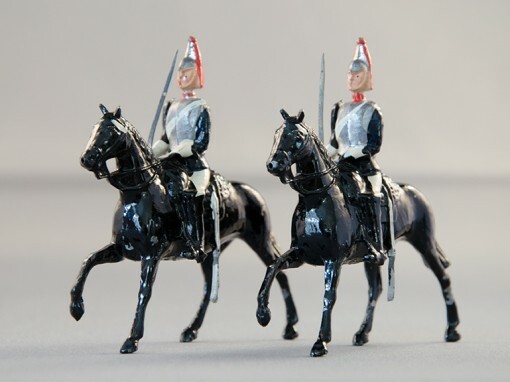 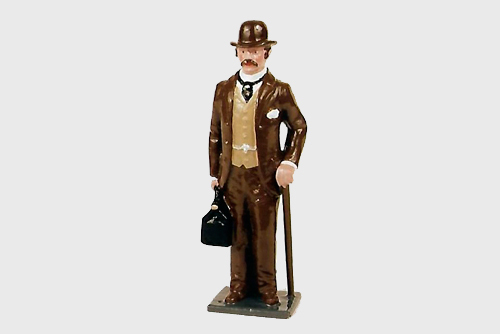 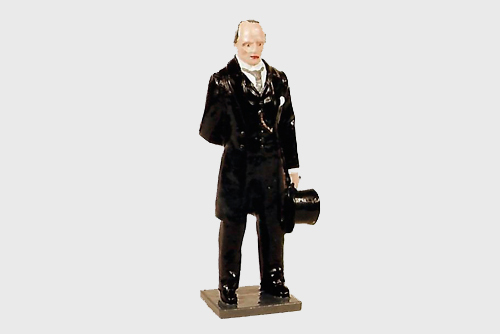 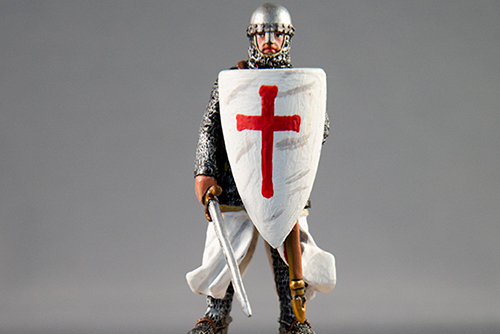 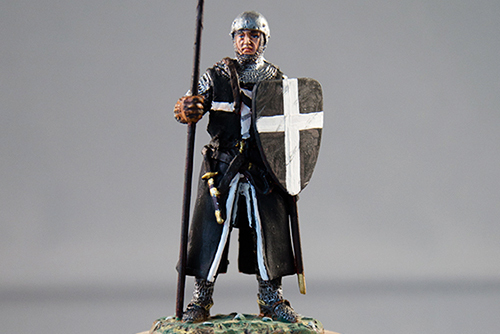 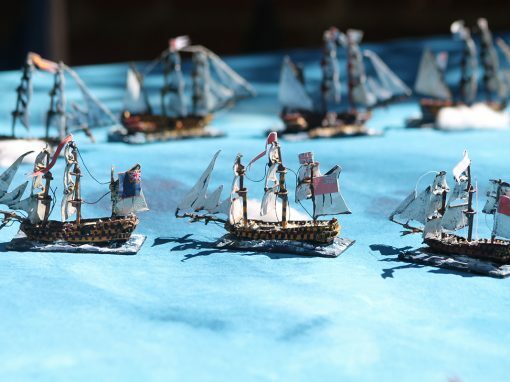 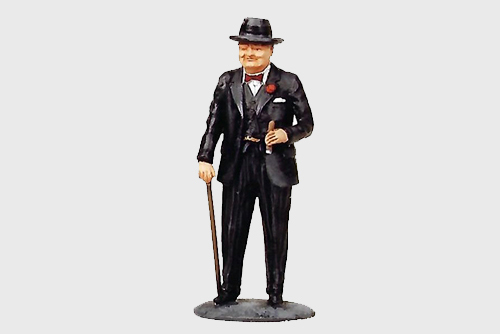 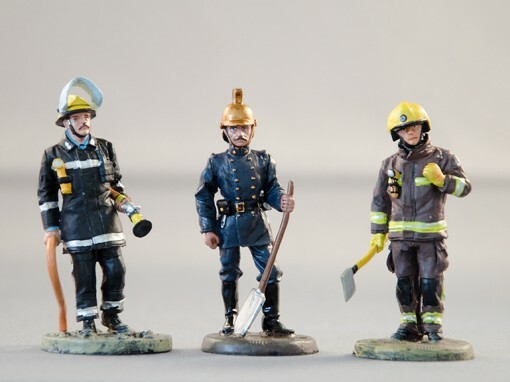 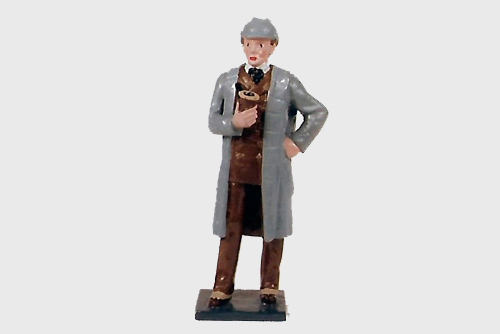 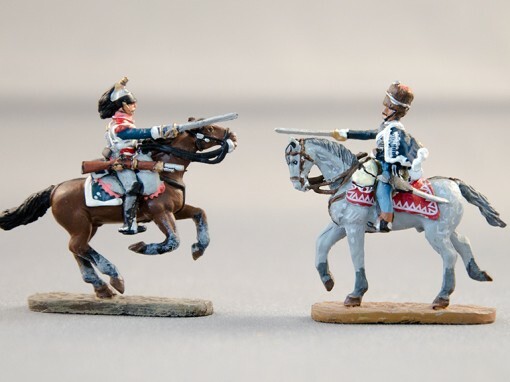 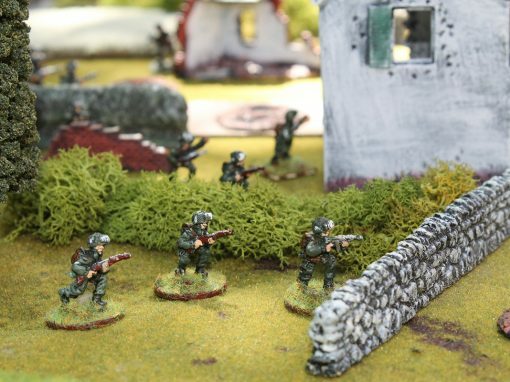 This model is a 120mm Resin/metal piece, but smaller, 54/90mm metal figures are also available.